In the publishing settings, you can select an icon for your Windows app. Note that embedding the icon in your app might slow down the publishing process by a few seconds, depending on your operating system. Also, some versions of Windows occasionally cause an error during this process, and you will get an "internal error" reported when you start testing your app from time to time. So during development, it is better not to select an icon. Also note that this feature is not supported in the Mac OS X version of CopperCube. Windows .exe apps created by CopperCube support Valve's Steam and have a built-in Steam integration. Have the Steam client running and be logged into the steam account which owns the game you are developing. Extract the two .dll files in this archive into the directory where your app is generated. Once you release your app on steam, you also need to include these files, of course. Create a text file named 'steam_appid.txt' in that directory with your steam store appid as text content. Two window modes are supported: The "Exclusive / Fixed Size" window mode with a fixed size window and exclusive resolution in fullscreen mode, and a newer window mode which is known as "borderless windowed" or "dynamic / resizeable" mode. You can set which window mode you want in the publishing settings. This mode is usually used by most modern games. When publishing your app, CopperCube now will create a folder named 'dxredist' where your app is. When you distribute your app, be sure to include this folder together with your app (for example everything together in a .zip file). That's it. 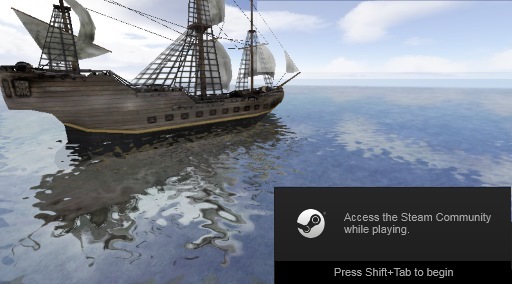 If DirectX is not installed on your users PC, your game will now install it at first startup. "This app needs DirectX to be installed. Install now?". You can also change the text of this message box easily: In the 'dxredist' folder, create a text file named 'message.txt'. In there, type the message you would like to print instead. The code is a VisualStudio 2005 Project. It is based on the open source Irrlicht 3D engine and should be fairly easily to extend. A short documentation on how to build the package can be found in the root named documentation.txt. The code also includes the parts for the Oculus Rift support, but it is not supported (beta) and you likely need to adjust it to newer Oculus Rift SDKS.